Graphic/Web Designer from Southern California, Los Angeles. I am currently a student at Otis College of Art and Design studying under a strong collective faculty directed by Kali Nikitas. I am a junior transfer student from Santa Monica Community College where I received my technical knowledge on design programs and website development. I hold a great passion for identity and logo design. This can be a difficult field for a graphic designer to venture into as it requires a great understanding of an emerging dynamic audience. However, since I enjoy being able to connect my client’s goals with that of their target audience, I see past the obstacle. To me, accomplishment is gained when I have successfully generated a larger audience, a longer engagement or a lasting interaction with any of my works. My purpose as a graphic designer is to facilitate communication between businesses and customers, producers and viewers. I believe there should always be a purpose for any piece of design, this is why I continually push myself to produce work that is worthy of being viewed and not merely a decorative piece. I mainly focus on commercial work that in some way shape or form is linked back to marketing and advertising. Though I may not consider myself an advertising student, I believe any graphic work is in a way an advertising piece promoting an idea, expression or product. I would never consider my work to be a candidate for museum exhibits. I don’t want to be rich I don’t want to be famous. I want to be successful in what I do. I want to be able to motivate individuals in finding their better natures. I want to create to benefit those around me. My ultimate goal as a designer is to design a professional sports team logo and a full identity for a major airline. As soon as I do this, I can die a happy man. 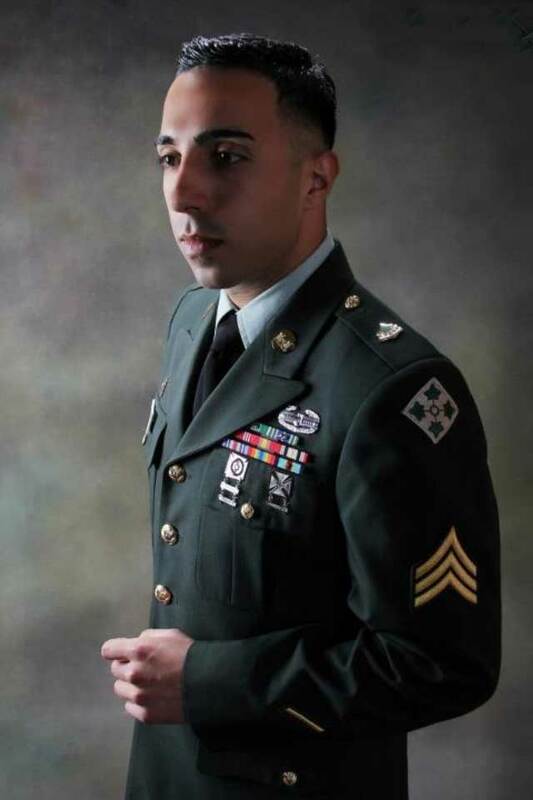 Before starting my career as a graphic designer I spent 6 years in the Army. I am proud to be a two time Iraq war veteran. While in the Army I acquired many awards and honors. My proudest moment was when I attained the rank of Sergeant (E-5) at the age of 21. Once at this position I had the honor of leading a team of troops into my second Iraq deployment; a successful mission where we aided in the reconstruction of Iraq. I received an Honorable Discharge with a Driver and Mech badge, a Combat Action Badge, 3 Army Commendation Medals, 2 Good Conduct Medals, 3 Army Achievement Medals, a Global War on Terrorism Service Medal, and an Iraq Campaign Medal.